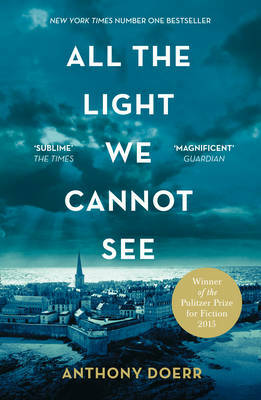 A beautiful, stunningly ambitious novel about a blind French girl and a German boy whose paths collide in occupied France as both try to survive the devastation of World War II Open your eyes and see what you can with them before they close forever.' For Marie-Laure, blind since the age of six, the world is full of mazes. The miniature of a Paris neighbourhood, made by her father to teach her the way home. The microscopic layers within the invaluable diamond that her father guards in the Museum of Natural History. The walled city by the sea, where father and daughter take refuge when the Nazis invade Paris. And a future which draws her ever closer to Werner, a German orphan, destined to labour in the mines until a broken radio fills his life with possibility and brings him to the notice of the Hitler Youth. In this magnificent, deeply moving novel, the stories of Marie-Laure and Werner illuminate the ways, against all odds, people try to be good to one another.